Rating: The food here is really very very good. Capo is an occasional favorite of mine and I’ve reviewed it before HERE and HERE. They have a particular high end (but not formal) blend of California style (Farmer’s Market ingredients) and Italian tradition. 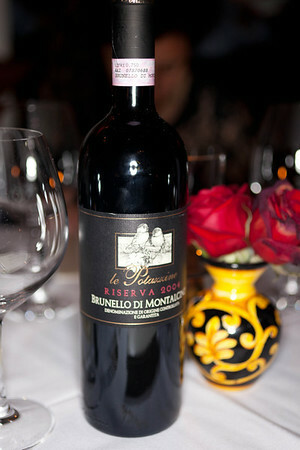 But it’s not a strictly traditional Italian, more interpreted through a vaguely Tuscan / California vibe. 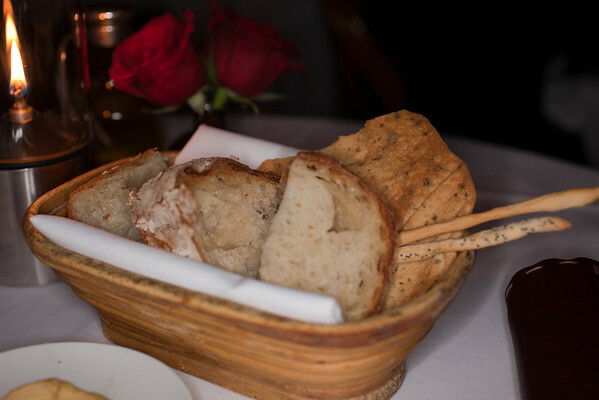 They have very good bread at Capo, particularly the crispy things. 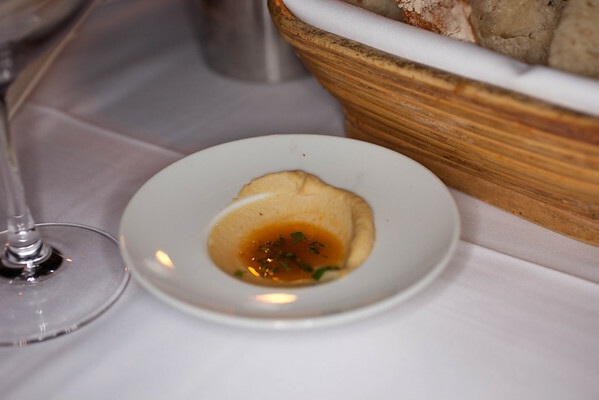 Capo always puts out this little humus-like spread. I suspect it’s fava beans. It’s addictive though. We settle down to examine the MENU, which is big, and always a difficult decision because there is so much great stuff on it. They have an odd menu format, in which each item is identified by only it’s principle ingredient, forcing you to guess or ask how it’s actually prepared. Plus they have “fill in the blanks” on the menu which are filled in by a separate sheet of daily specials. No big deal, but it’s kind of bizare. Doesn’t matter though, as the food is great. 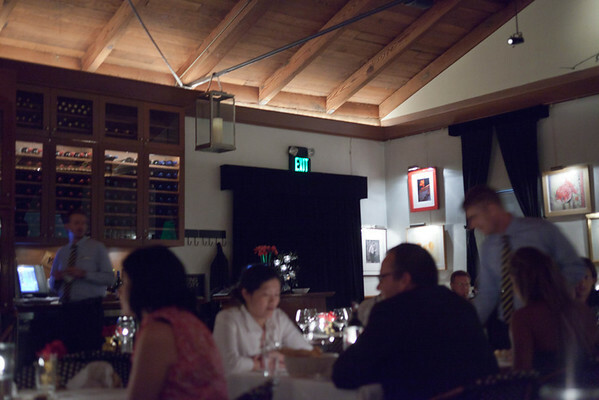 It’s worth noting that Capo has a peculiar corkage policy (I rant on it here). In short, you can bring one and no more than one bottle, and that it must not be on their list. 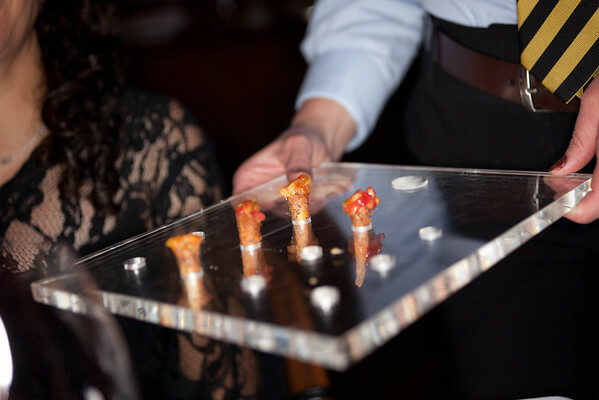 The amuse, a cone of tomatoes. Essentially like a tomato bruschetta — in a crispy cone. 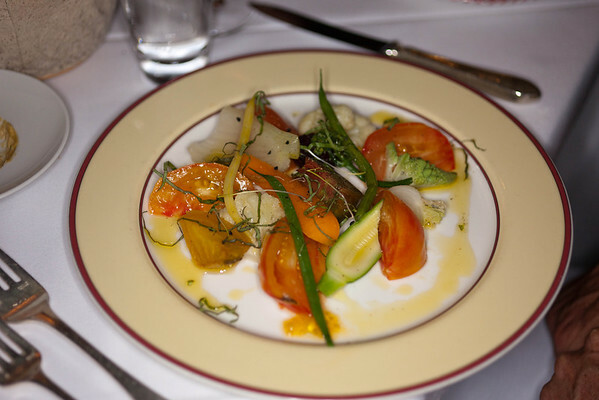 “Heirloom tomato vegetable salad.” Very fresh Farmer’s Market vegetables. 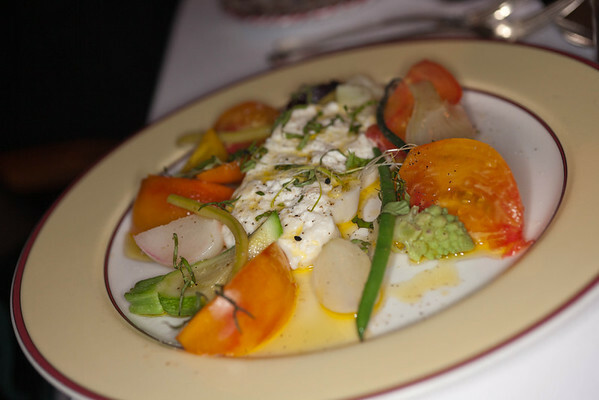 The same salad, but with Burrata. Which, like bacon, makes everything better. “Burrata black truffle bruschetta.” Besides the shaved vegetables and the bread underneath this is a big blob of burrata, fresh truffles, and a whole poached egg! It was pretty good, but decidedly rich. 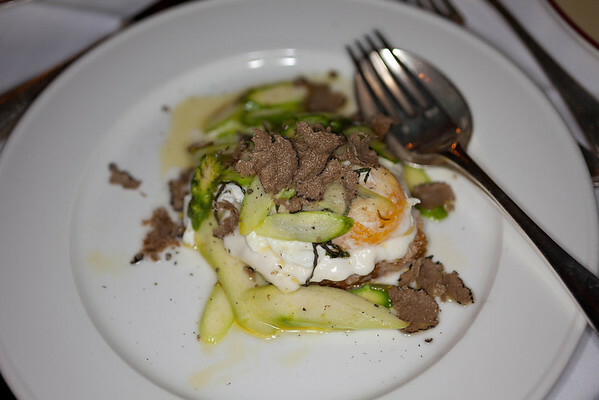 In some ways similar to my special eggs, in some ways like the famous Melisse truffle egg. 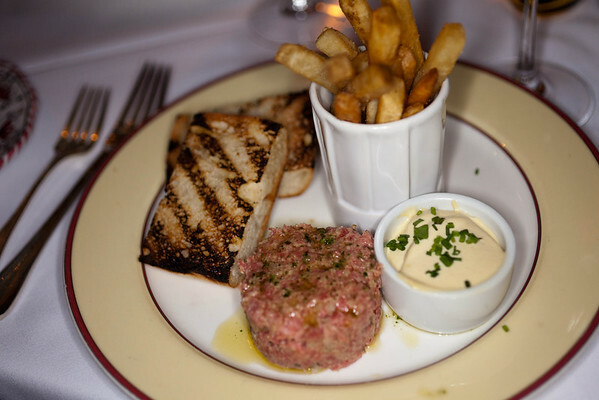 “Steak tartar.” The fries and aioli are obvious. The meat was delicious! There was a lot of pepper in there, and olive oil. But mostly it just tasted of wonderful raw beef. One of the better tartars I’ve had. Maybe a little shaved parmesan would make it even better! 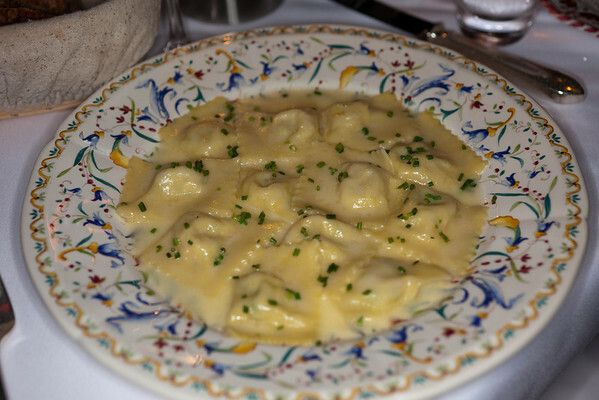 “White corn ravioli.” You can’t beat fresh pasta in a butter sauce. 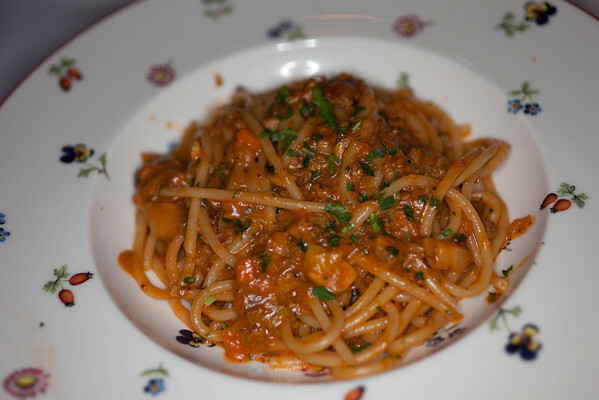 This is “buccatini with lamb ragu,” and it’s one of the best pastas I’ve ever had. I’ve come back like three times for it. I love a good ragu, and the buccatini (spagetti with a tiny hole in the middle) is perfect. The dish is rich and meaty, divine. I always order it. 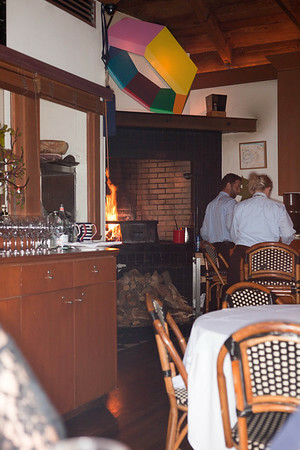 Capo has an impressive wood fire in the corner that they cook a lot of the entrees on. The prices are pretty punitive, but they’re good. Plus the fire lends a wonderful wintery smell to the whole dining room. 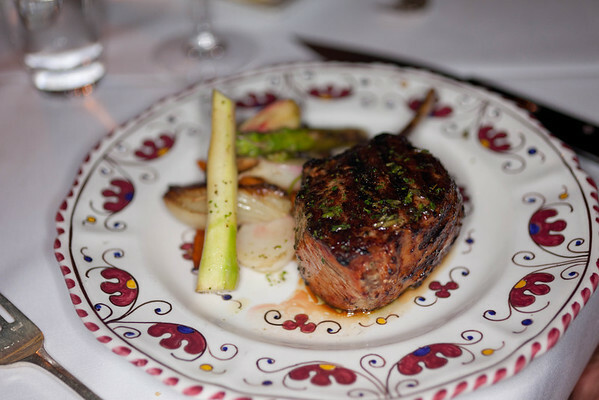 Veal chop, nice and rare. 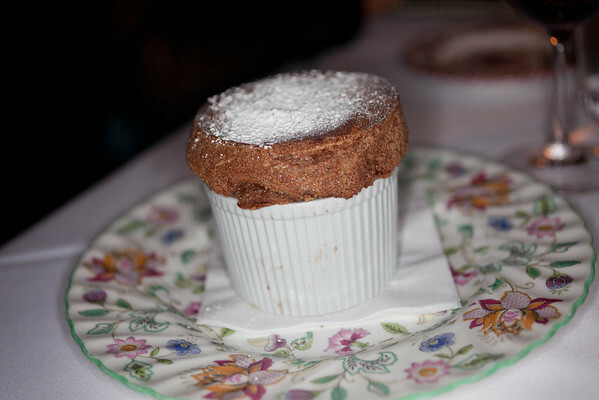 This is the “chocolate soufflé,” an excellent implementation of the classic. You have to preorder it at the beginning of the meal. 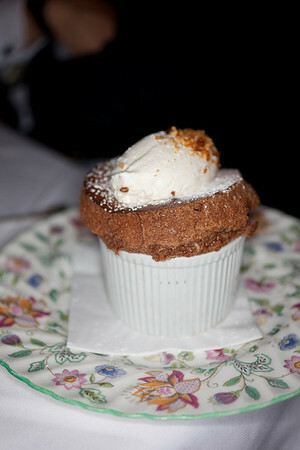 And they add a big dollop of fresh whipped cream. 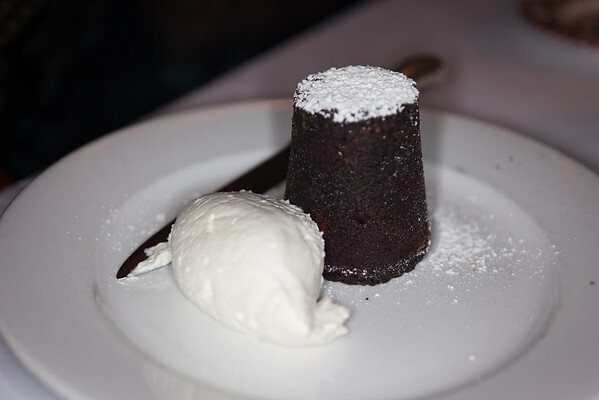 The “chocolate volcano cake,” also with whipped cream, also preordered. And this. This was to die for. 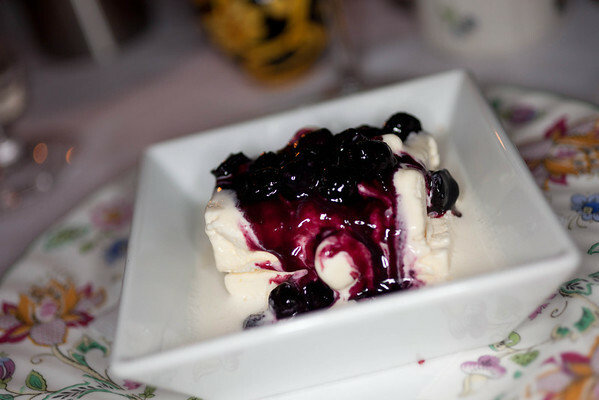 “Meyer lemon semifreddo,” with a blueberry or blackberry sauce. Everything about this was spectacular, one of my all time favorite deserts. The cold-soft texture, the bright lemon flavor, and the tart sweetness of the berries. OMFG! A nice plate of little petit fours, not so usual at American Italians, more french. 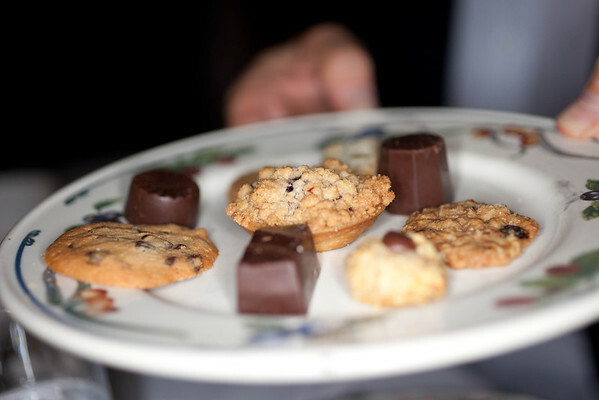 In Italy sometimes you’ll get treated to little almond cookies and shots of grappa or sambuca. So to conclude, Capo is hands down delicious. 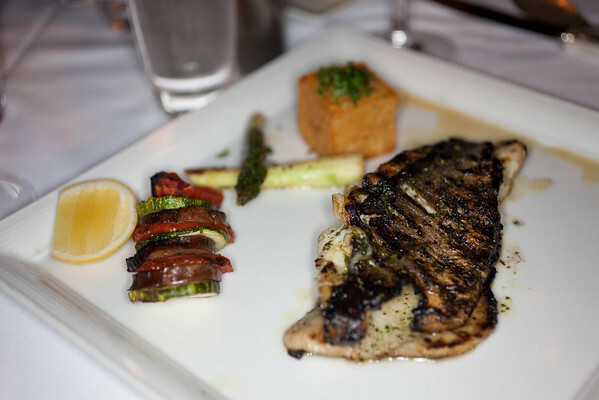 The food is VERY VERY GOOD, and the service is top notch. The intimate little atmosphere is great also. It’s just very expensive — definitely not a good value — perfect if someone else is paying :-). Two other Capo meals HERE and HERE. 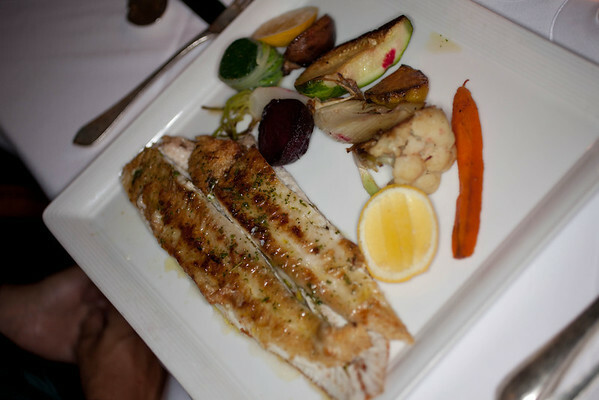 Or for a legion of great eating in Italy itself, here. 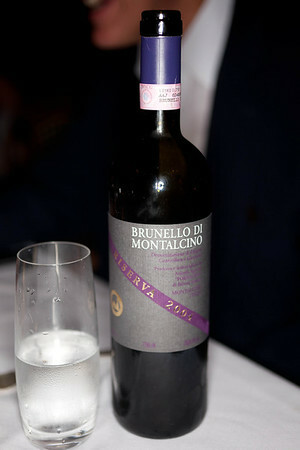 This entry was posted in Food and tagged Brunello di Montalcino, Burrata, Capo, Cooking, Home, italian, Italian cuisine, Los Angeles, Melisse, pasta, Poached Egg, Restaurants and Bars, Santa Monica, Santa Monica California, Truffle (fungus), Tuscany.